Divine Chaos pull out of MammothFest 2014! Find out who will replace them! 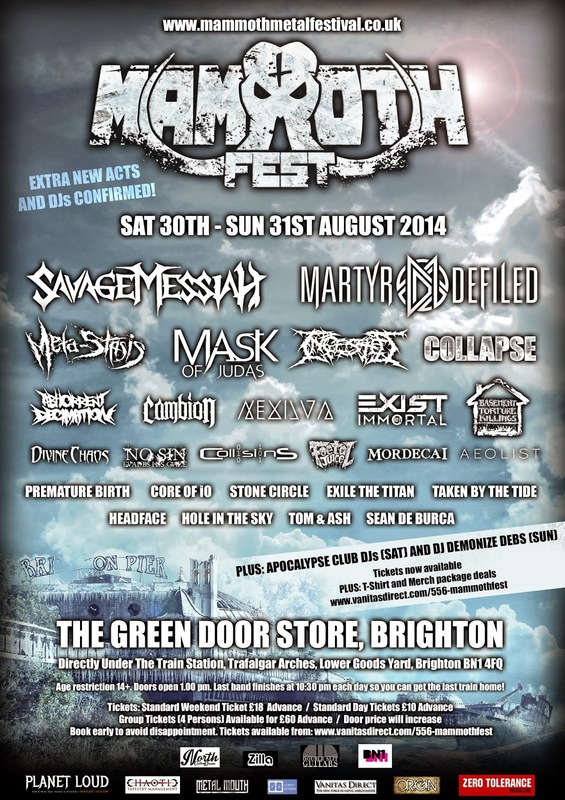 Unfortunately thrash metallers from Slough, Divine Chaos have had to pull out of MammothFest 2014 which takes place at the Green Door Store, Brighton between Saturday 30th August and Sunday 31st August. But although this is a shame, the band replacing them is instrumental progressive act from Brighton, thedealwasforthediamond, who are returning after a break with their upcoming sophomore album and as a result of working on their new album they haven't played live for a while, so MammothFest 2014 marks their come back show of the year! Be sure to check out the band and their epic instrumental sound; to be a instrumental band solely relying on the music to portray the emotion and passion, as well as keep your interest can be hard to achieve, but this band pull it off extremely well! Get your tickets to the festival now to witness them perform live on the Sunday between 5:15-5:45pm, as well as all the other brilliant acts. The line-up is not to be missed!